Chilliwack’s Chinatowns: Fact or Fiction? Photograph of a Chinese family, believed to be the Yip On family. 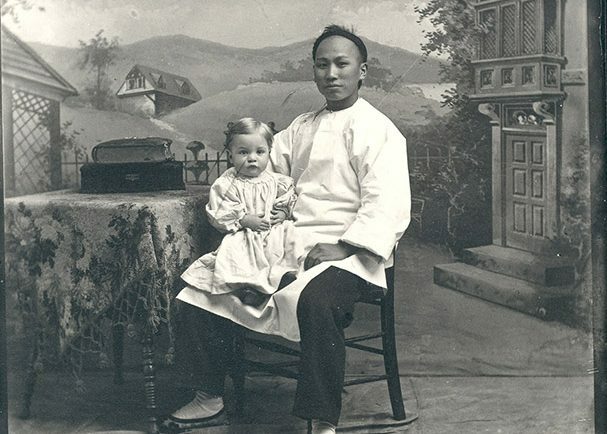 During the late nineteenth and early twentieth centuries, the first Chinese immigrants in Canada made significant contributions to life in the Fraser Valley. Faced with discrimination and racial prejudice from British Columbia’s Euro-Canadian resettlers who settled on the traditional and unceded territory of the Stó:lō people, many Chinese workers persisted in the short term and chose Chilliwack as their home. Chilliwack’s Chinatowns: A History by Dr. Chad Reimer. Chilliwack’s Chinatowns: A Story of Diversity, Racism, and, Arson reveals the contributions of British Columbia’s early Chinese residents to Chilliwack’s collective memory. Based in part on Dr. Chad Reimer’s 2011 book, Chilliwack’s Chinatowns: A History, the exhibition aims to encourage discussion and dialogue within Chilliwack’s communities who today benefit from the efforts of early Chinese residents. 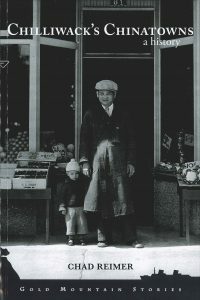 By viewing historic photographs, maps and artifacts and listening to interviews with community members, Chilliwack’s Chinatowns: A Story of Diversity, Racism, and Arson features the universal story of hard work in an era before official multiculturalism and showcases the life and challenges of Chinatown residents to highlight how acceptance and tolerance are necessary today.